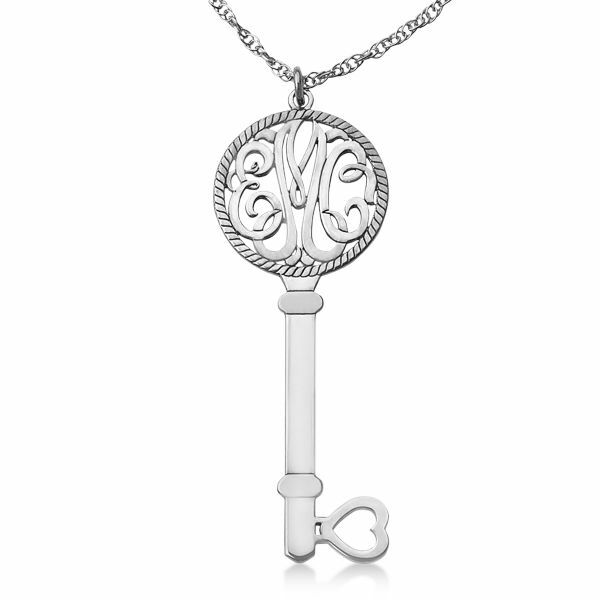 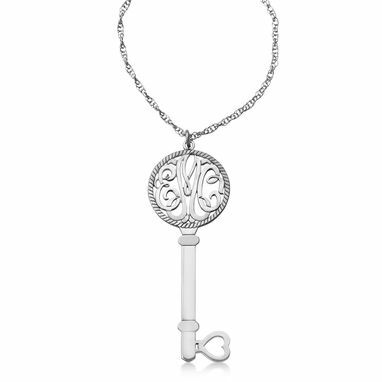 Tailor your own style with this fine personalized key initial circle monogram pendant necklace in 14k white gold. Your first, middle, and last name's initials will be chiseled in an elegant calligraphy font with a polished finish. Approximate gold weight of 4.65 grams will vary depending on size and lettering options.